There is nothing that can be defined as authentic Newfoundland identity but there is certainly a definable Newfoundland brand. 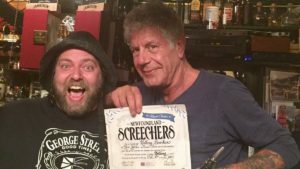 It is branded Newfoundland that is on display in the recent episode of Anthony Bourdain’s Parts Unknown. The reason authentic Newfoundland identity cannot be defined is because, first of all, there is no good reason to think that such a thing exists. And if such a thing as authentic Newfoundland identity does exist it must necessarily be so utterly complex that to map its contours would be a project in futility, since the true meaning of the place and the people changes every day. 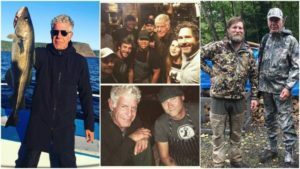 When people speak about authentic Newfoundland identity, such as when they comment on the correctness of the representation of the island and its people in film and literature, they are not referring to anything that is real and true but are instead making an evaluation of how well a representation adheres to the definition of branded Newfoundland. Branded Newfoundland is something that has been purposefully crafted and cultivated by government, marketers, and by the tourism industry more generally. It is canned, reductive, and simplistic enough that a target audience can project themselves into the brand. A place brand is not exactly a logo or even the reductive stereotype, such as the reductive identity presented in branded Newfoundland, but more precisely a vehicle or a vessel into which a potential consumer can cast their desires for something that is missing. The essential qualities of branded Newfoundland are meaning and a clear sense of belonging. This brand allows for the fulfillment of those things that the target consumer lacks in their own fast-paced, cosmopolitan lives. Feel like your life and work in New York or Toronto or some other mega-city is meaningless? Here is meaning. Feel like you have no community or history or culture to call your own? Here is belonging. With respect to branded Newfoundland, it makes little difference whether this is true in the sense of a definable Newfoundland identity. What matters most is that the brand is functional and to some degree performed by the locals for the consumers. 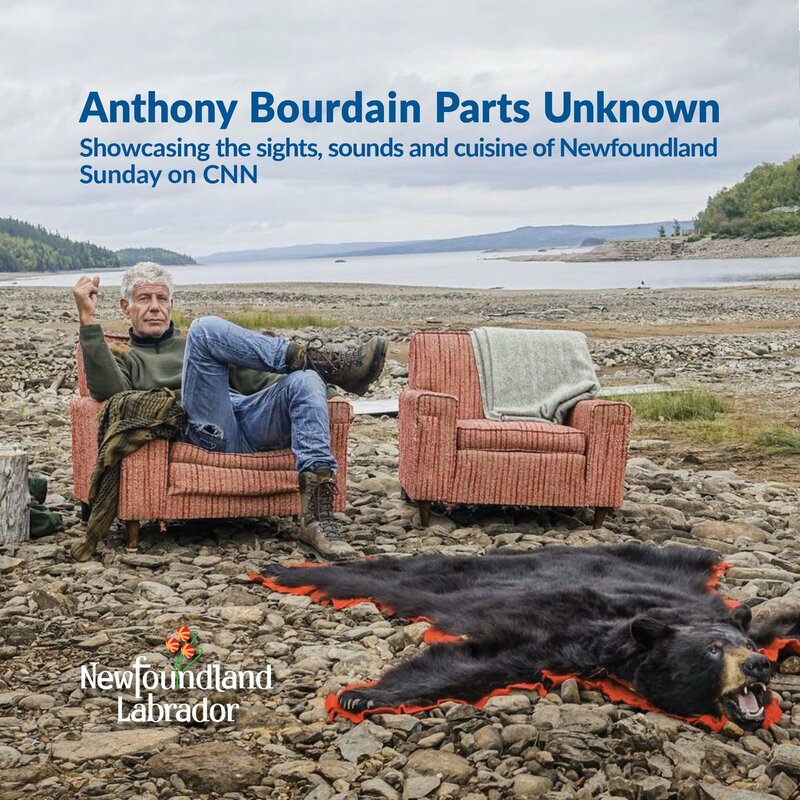 It is no wonder that Newfoundland media explicitly framed their commentary of Bourdain’s show with respect to its impact on tourism (here and here). For example, compare the version of Newfoundland presented in the many tourism commercials with what consumers encounter — most obviously, no tourism commercial ever depicts rain. 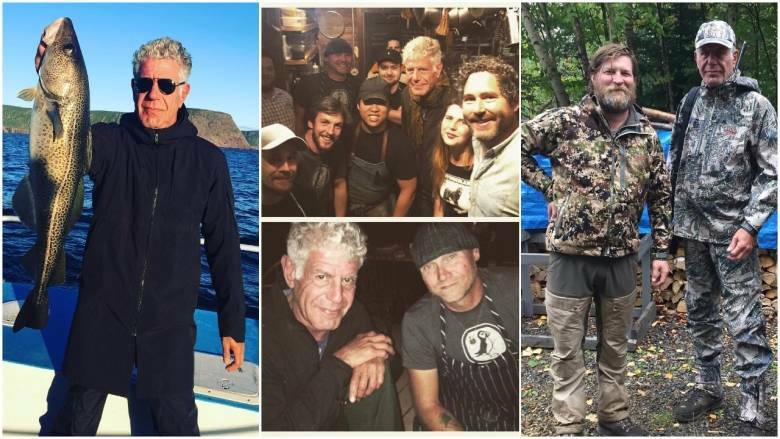 Admittedly, Bourdain’s show got the weather correct, with those shots of him drenched and shivering, but how could it do otherwise since they had a shooting schedule and couldn’t wait as long as the branded Newfoundland marketers. In the end, the fact of rain and inclement weather does not matter so much because any discrepancy between branded Newfoundland and reality is smoothed out by the performance of branded Newfoundland identity by the locals. The same tropes, the same cliches, the same omissions. But why does it matter? Who cares if there is a branded Newfoundland? What harm? The performance of branded Newfoundland is a feedback loop. Government and tourism defines the brand, then the locals perform it, and then it becomes what the locals think is their actual identity. This creates a zombie identity and a zombie culture, stifling the possibilities of cultural dynamism and creativity, and preventing the emergence of the new and innovative. For example, certain kinds of music and literature and art and cuisine are privileged as authentic, receiving acclaim and funding. Anything outside the brand is seen as aberrant, or as a novelty at best. 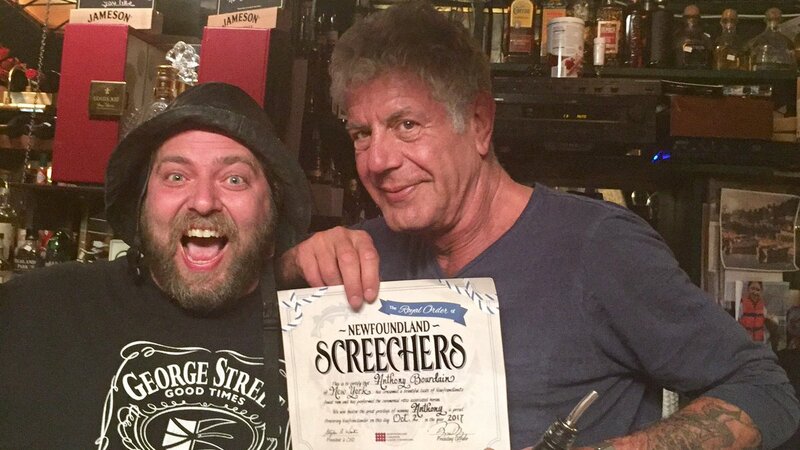 This is a snapshot of the cultural consequences of branded Newfoundland. Finally — though there are of course other points to bring up — branded Newfoundland was first of all created by government and industry and now also serves government and industry in mobilizing support or dollars for political and economic projects. Branded Newfoundland creates a unified people, or at least enough of an impression of unity around some set of characteristics and some notion of history that a manifest destiny can be invoked. Look, for example, at the way branded Newfoundland was invoked to justify the Muskrat Falls project. Where the discussion may otherwise have been informed by a reasoned analysis of the project, it was instead sold as an instantiation of branded Newfoundland. An organ grinder, churning a tune, casting a fog over who we are and what we may become, calling out dance monkey, dance. Even a critique of our identity is part of our identity. We’re doomed to navel gaze until the seas cover the land.